Laparoscopy is especially advised for patients with recurring hernias, bilateral inguinal hernias and femoral hernias. However, it is not recommended for patients with very large hernias, strangulated hernias, prior pelvic surgery and intolerance to general anesthesia. These would typically require an open approach. 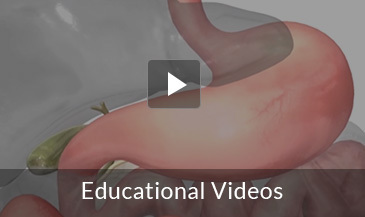 Laparoscopic hernia repair is performed under general anesthesia. Your surgeon will make a few small incisions in your abdomen or groin through which a thin tube called a laparoscope and other special instruments are inserted. A video camera attached to the laparoscope sends magnified images to a monitor guiding your surgeon throughout the procedure. Your surgeon will push the bulge back into the abdomen and either stitch the abdominal wall or use a mesh to support the weakened wall. Laparoscopic repair of inguinal or femoral hernia is usually performed as an outpatient procedure so you will return home as soon as you recover from anesthesia. You may have some swelling or bruising at the incision sites which is normal. Pain and swelling are mostly controlled with medications. It is important to avoid strenuous activity or heavy lifting for at least 2 weeks after the procedure. Hernia is a common condition that occurs when an internal organ pushes through a weakened area in the musculature or tissue lining. Surgical repair is recommended for hernias that cause pain and for irreducible hernias that are incarcerated or strangulated. The goal of surgery is to reduce the hernia, close the opening and repair the muscle wall through which the hernia protrudes.